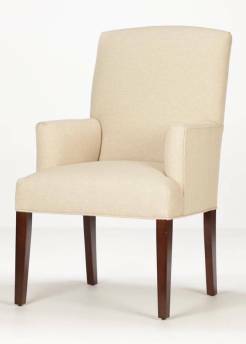 Finding the perfect dining room chairs can be difficult. If you’re like my family and use your dining room table for eating, school work, crafts, and conversations then you know comfort is key. As a mom, I want my family to be comfortable, and as a designer I want my chairs to be beautiful. Choosing the right chairs for your family can be a difficult task. There are so many styles, fabric choices and brands out there. How do you choose the right one? Today, I want to share a few designer tips that will help you pick out the perfect chairs for your family. The first thing you want to do is measure your room and the space around your table. This step should never be overlooked! You could find the “perfect” chairs at the store only to bring them home and them not fit in your space properly, leaving you dissatisfied. 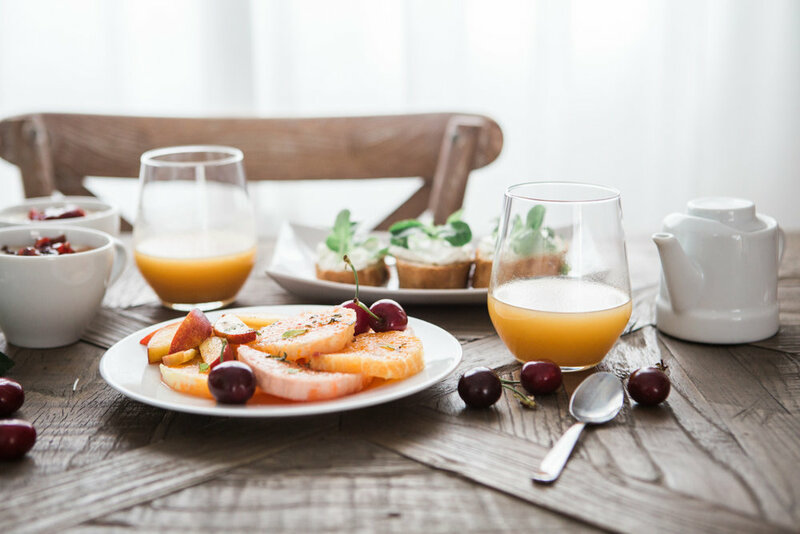 You will want to measure the space around your table to see how many chairs you will need (don’t forget to factor in the space the chairs will need when they are pulled out from the table). If your table extends, you should determine if you need extra chairs and where to place them when not in use. Now that you have your measurements done you can move on to deciding on a style. The first question I like to ask my clients is “Do you want your dining room to be formal or informal”? Once you have answered this question, you should consider comfort. The biggest concern my clients have with informal dining rooms is comfort. Everybody has a different comfort level, but here are some tips to help. Look for a chair that is wide enough so you’re not having to shift around to find a comfortable spot. The back of the chair shouldn’t lean to far back and if its upholstered, make sure it has adequate padding. Now you can start looking at dining room chairs. From your measurements, you can decide on the right scale. If you are working with a smaller space, you might want to consider something delicate or with an open back. This will help create visual space and your room will appear larger. If you have a large space, you might consider a larger upholstered piece with well-defined shapes. Should your chairs have arms? Traditionally, you find armchairs at the ends of the table and armless versions on the sides. I believe this is a rule that can (and should) be broken. Depending on the size of your space and how your family uses it, should determine the arms you choose. 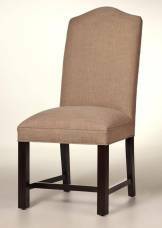 Armless chairs save on space and can look very modern all around your table. Meanwhile armchairs are often more comfortable especially for those that have joint problems, but they take up more space. There are so many different types of materials out there. Wooden chairs are classic and come in so many different styles and finishes. Metals chairs can provide contrast and interest in your space. Acrylic chairs can be so unexpected in a dining room and they are perfect for small spaces. Natural fiber chairs like rattan provide warmth and texture to any space. 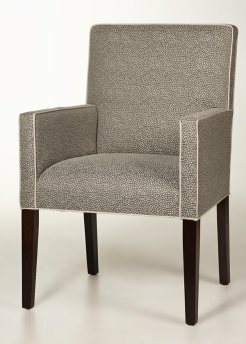 Upholstered chairs are timeless and allow you to bring in color, texture, and patterns. They can also help soften the hard lines in your dining room. I love to mix materials to create a collected over time, cozy feel. With upholstered chairs, you will have the opportunity to bring in colors, patterns and textures that suit your personality. There are many different types of fabrics such as, linen, velvet, leather, and the list goes on. There is also a vast selection of patterns like, brocade, stripes, paisley, and so on. The fabric you choose for your chairs is very important. Depending on the formality of your room, you may want something that won’t show stains easily or a fabric that has good protective coat. The fabric you ultimately choose should reflect your style. Small details are incredibly important because they are what makes your room special. 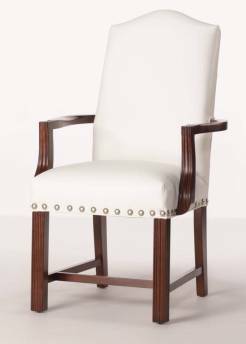 Adding things like tufting or nail head trim to your chairs will make it unique and create this amazing statement piece in your room. Another detail is the shape of your chair back, they have all kinds of interesting shapes. Don’t forget the details of your furniture because they are what make your room go from blah to beautiful. Quality is one of the most important things to look for when finding the perfect chair. You should check to make sure the chair you are interested is structurally sound. Run your hand over the different surfaces, you shouldn’t feel any snags in the fabric or splintering in the wood. Luckily, Carrington Court Direct* makes this part easy! Their frames are made of all hardwood construction and are backed by a lifetime guarantee! 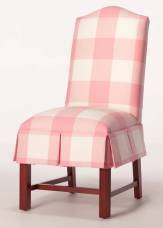 They make affordable custom chairs in a wide variety of styles, fabrics, and prices. I love that they allow you to send in your own fabric which ensures my chairs will match my style perfectly. 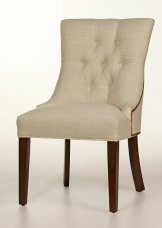 Here are some great chair options from Carrington Court Direct* that will work with almost any style dining room. *This is a sponsored post and I received compensation in exchange for writing this article. Although this post is sponsored, all opinions are my own!